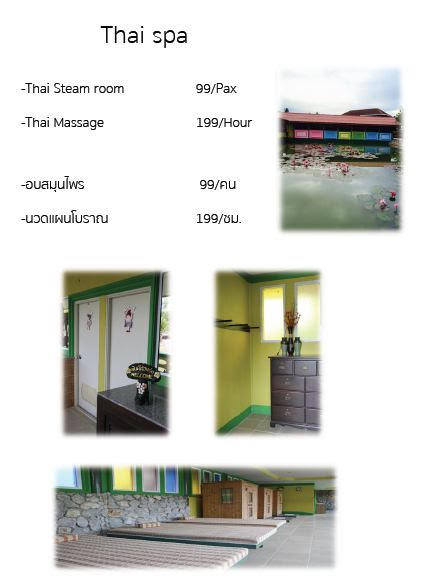 If you would like to explore the ancient city of Lampang, bicycles are available (free of charge) and taxi service is available to certain locations, like the hot springs and temples. 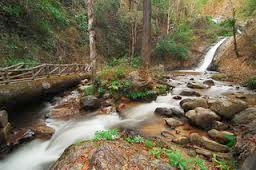 A major place for relaxation in Lampang is Chae Son National Park. 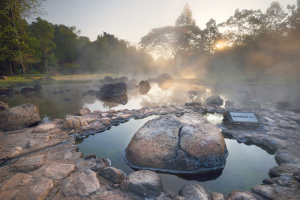 It features a lush forested and mountainous region with hot springs over rocky terrain, providing a misty and picturesque scene, particularly in the morning. 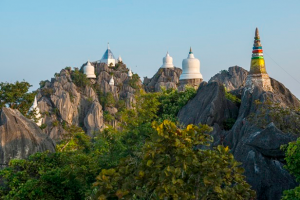 The Wat Chaloem Phra Kiat Phrachomklao Rachanusorn temple complex is perched high on top a rocky hill in Lampang's countryside, nearly 1,000 metres above sea level, offering you a truly unique Buddhist shrine and temple visiting experience. 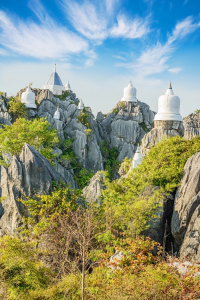 Apart from the temple's location being the pinnacle of its emerging fame, here you'll get a spectacular and panoramic view of the Thung Thung valley below. When travelling North through Thailand Lampang is a convenient stop before you reach the cities of Chiang Mai and Chiang Rai.